Volkswagen’s flagship 4x4, the Touareg, is now available from Avis (and this is a motoring edition of BTN too. Follow the link). The former Landmark Hotel in Dundee is now a Doubletree. It is the upscale brand’s third Scottish property and its 21st across the UK. The hotel is set within the grounds of a converted private family residence whose original classical period design and intricate Latin inscriptions remain largely untouched. The listed building dates back to 1870, allowing guests to immerse themselves in the elegance of Victorian high society. 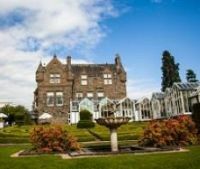 Guests are free to explore the surrounding six acres of landscaped and maintained gardens complete with an ornate Italian style maze and fountain. Adara Inc, the California-based data operation focussed on targeted traveller audiences, chose the panoramic view at London Centre Point to announce its participation in Facebook Exchange, a real-time bidding solution for advertising on the world’s largest social network. Serviced apartment provider Deep Blue has launched Flying Butler Apartments, a novel extension to its brand. What makes Flying Butler different is that service is bespoke to each client’s own requirements. It offers guests a range of personalised concierge services, including transfers to and from any London airport or train station, personal meet and greet, additional housekeeping and a dry cleaning service. 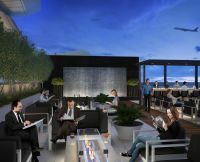 Star Alliance has released the first official impressions of its new Los Angeles lounge, which will open later this year at the Tom Bradley International Terminal. A unique feature of this lounge is the open air terrace where guests can relax beside a cosy fireplace by night, or by a water feature while enjoying views to the Hollywood hills under the Californian sunshine by day. Now open is the Wyndham Istanbul Petek. This 306-room property is just 10 minutes (five miles) from Istanbul Ataturk International Airport. It follows the opening just before last Christmas of the Wyndham Istanbul Kalamis Marina, located on the Asian coast of Istanbul. A lady not known for her outspoken views, Jane Middleton, Chairman of the Aviation Club, was forthright last week criticising the Airport Commission. Jane could be fearless as she does not represent any airline, airport or interested party. “How is it that the panel does not have a single airline economic expert on it”, she said, echoing the views of this publication. Sir Howard Davies appears to be unconcerned regarding aviation representation according to those who have spoken to him. “The one person with any airport experience is also Chair of the North West Rail Campaign”, she added. This Government is in clear danger of killing the Golden Egg that has made London the centre of the world for air transport. Davies does not report until 2015 and then it is only a recommendation. At least the major airlines recognise the problem and are getting together to try and do something about it, supported by the International Air Transport Association (IATA), acting on behalf of the many overseas airlines for which Heathrow is their most profitable route. 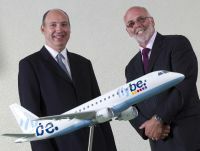 With the airline going through a complete reshaping process following poor trading Flybe has announced a change at the top. Effective 1 August Jim French, formerly Chairman and Chief Executive, takes a non-executive role as Chairman of the Plc with Saad Hammad joining as Chief Executive Officer. An Asiana Airlines’ Boeing 777 200ER crashed on landing at San Francisco International Airport on Saturday (6 July). The plane was carrying 291 passengers and 17 crew. Two people were killed. They were sitting at the back of the aircraft. British Airways unveiled their new Airbus A380 and Boeing 787 aircraft at the Heathrow engineering base with a media scrum last Thursday. One experienced travel journalist described the layouts as uninspiring. 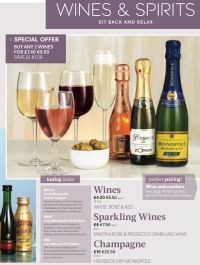 “Not being first in line for the aircraft you would have thought that BA might have been more enterprising. True they will have the North Atlantic to themselves with the Airbus (unless Virgin resurrects their orders) but into the Gulf there is serious competition. The BA service will be good, and likewise the travellers’ benefits (mileage etc) but they should be seen as the leader of the pack”. He was particularly critical of the A380 layout. 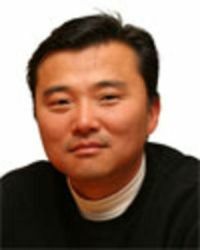 “It is nearly as bad as some 747s where Business Class passengers have no disembarking priority. It will be interesting to see how the boarding is accomplished at T5”. What is called the ‘All New’ Germanwings has been launched. Passengers will be able to choose between three different price segments. The Luton based airline data provider OAG says in its latest Global analyst report that there is an increase of 2% for flights for July versus last year, and an increase of 5% with seats offered. This is an encouraging trend regarding airline profitably. With summer (eventually) here, OAG for this month has taken a closer look at what it calls “the Mediterranean countries”, Cyprus, Egypt, Greece, Israel, Italy, Morocco, Portugal, Spain, Tunisia and Turkey. France is not included. As mentioned in our Paris Air Show report one aircraft really caught our eye – the Polish Flaris LAR 1. This tiny jet-powered four-seater might be the way ahead for the smart businessman in the future. 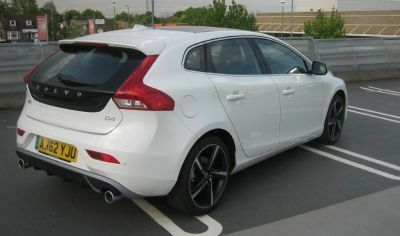 It is powered by a single Pratt & Whitney Canada PW615F engine. Once again clashing with the Paris Air Show, SITA unveiled Horizon, what it calls “the next generation passenger services system (PSS)”, at its IT Summit in Brussels. The Geneva-based organisation is the air transport industry’s technology provider. In 2010, fewer than 40% of airline sales were made through direct channels. By 2016, airlines expect that to rise to 67%. The PSS lies at the heart of the airline: it is the engine that drives the business. Francesco Violante, SITA's CEO, said: “Today marks a milestone for our industry. The legacy systems that supported everything from reservations, to departure control and inventory management have served us well. But we are in a new era of technology, lifestyles and customer expectations, forcing rapid change both on airlines and us as their technology provider. Airlines need systems that are agile. Passenger management and distribution solutions must be able to respond to individual situations, so airlines can fully exploit customer opportunities happening in real time”. 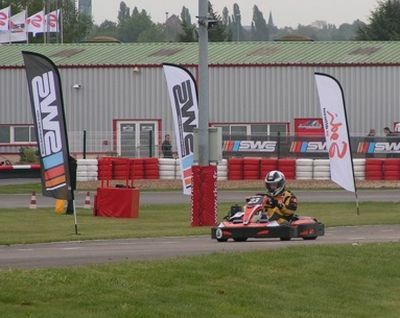 Newly qualified 17-year old driver Oliver Smith, already a successful Kart racer and Kart race reporter for Karting World magazine, was lucky enough to spend a day at Mercedes-Benz World, Weybridge, with a group of hardened motoring hacks. Olie is no slouch when it comes to Karts and has raced abroad and also against drivers with GP2 experience. Mercedes Benz forms part of the old Brooklands motor racing circuit and adjoins the museum of that name. It may have officially closed due to the outbreak of war in 1939, but racing and other forms of competition still take place on the site of the world’s first purpose-built motor-racing circuit. As noted elsewhere in Business Travel News (()) British Airways has now joined a rush of airlines taking delivery of the Boeing 787-8 Dreamliner. Within the last week or so Norwegian celebrated the introduction of their first aircraft (with a little help from Virgin Atlantic and via leasing company ILFC). China Southern's first aircraft also arrived. In total, as of Sunday 7 July, 68 aircraft had been despatched from Seattle, and with the spat of orders from a variety of carriers the total has been pushed up towards the magic 1,000, with 930 firm commitments from 58 customers. 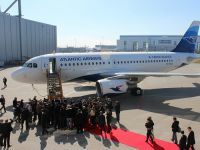 Faeroe Islands' flag carrier Atlantic Airways has added Milan to the list of destinations served direct from its North Atlantic base. 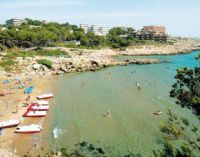 The Italian city is the eighth international destination served from Vágar Airport and is the second southern European destination to be linked to the islands since the introduction of flights to Barcelona last summer in the wake of the arrival of an Airbus A319 aircraft to its fleet. You only have to look at the OAG schedules from Heathrow to Bangkok to realise how competitive the market is. Not only do both British Airways and Thai Airways offer non-stop 11hrs 30mins flights but all the airlines of the Gulf region have connecting services. Most European carriers also provide services via their main European hubs. Now Britain’s biggest airline, easyJet is further expanding with five new ex-UK routes from October onwards. 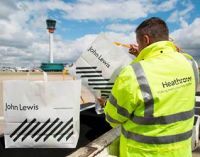 John Lewis, one of Britain’s largest and most successful departmental store groups, is to introduce a flagship operation at Heathrow Terminal 2 when it opens next June. With New York-based concept rival Jet Blue very much established as a free in-flight TV supplier, Southwest Airlines, the world’s largest budget carrier, has taken the major step to copy, but without screens. Southwest is deemed the creator of low-cost air travel and has been copied by Ryanair amongst others. It remains to be seen if free TV takes off in the much more complicated European airspace. Aegean Airlines, a Star Alliance member, will begin flights to Athens from Stansted Airport next Thursday (11 July). The route will operate three times per week and will connect easily with a through flight to the islands of Corfu, Kos and Rhodes. 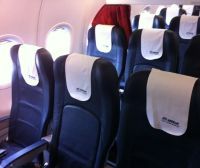 It will be the very first airline to offer a Business Class service to these Greek islands from the UK. 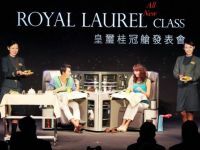 The flights will be operated using a brand new Airbus A320 168-seat aircraft, in dual class configuration providing a full service offering to all passengers, which includes complimentary food and drink, as well as one checked piece of baggage (23kgs).